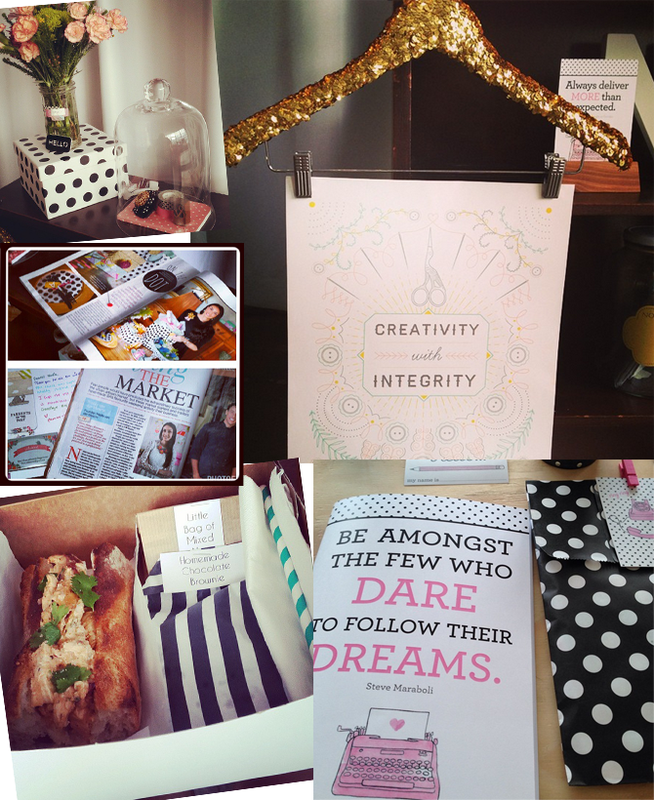 I decided to share a few of the Instagrams from the day as shared by the lovely creatives in attendance. One of my favourite things to do after a workshop is to check the nvdmlearn hash tag and see what people captured on the day. It really gives me a different perspective and seeing the details that others liked also serves as a confirmation of a job well done. A new venue meant new challenges which included bringing in some extra help. I worked with Zak & Tonic a whole year ago on their blog. I've loved following their business growth this year so the talented duo were an obvious option to take care of lunch. They did me proud and delivered a delightfully delicious meal. Sean from Open Plan Studio was another great help and of course Claire, my amazingly helpful assistant was on call to help make the day just right. My darling mom played florist with her natural flair and so the day was rounded off with some floral pretties. I'm one lucky girl with all the help I get. I have several new workshops planned for 2015 so keep an eye out for the updated details. Thanks to the attendees who make all the work so worthwhile and thanks for sharing these snaps! Check out the following hash tag on Instagram for more pics - #nvdmlearn or click here to see more updates on Twitter from past workshops. Also pictured are a few lovely items from m.studio and take a look at the 'Creativity with Integrity' poster that Fathima created for me. I used a sequin hanger from Lovilee to display it. Thank you Nadia for including my instagram pics in your post, it was such a nice surprise seeing them :) And thank you for a lovely workshop!